Play Natural Selection 2 for FREE now through Sunday at 1PM Pacific Time! Additionally, You can also pickup the full game at 75% off as part of this week’s Weekend Deal*! 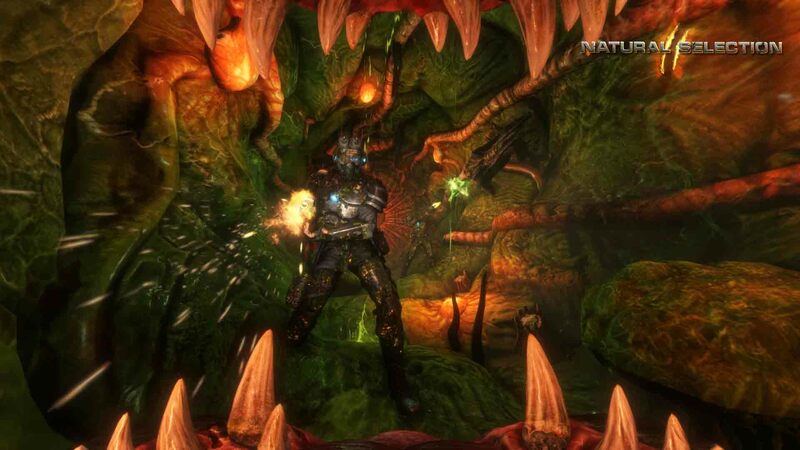 Natural Selection 2 is an immersive, multiplayer shooter that pits aliens against humans in a strategic and action-packed struggle for survival. It seamlessly combines a shooter/FPS gameplay with a strategy (RTS) game. If you already have Steam installed, click here to install or play Natural Selection 2. If you don’t have Steam, you can download it here. Almost 1 hour of tribal, industrial music composed by David John and Simon Chylinski. 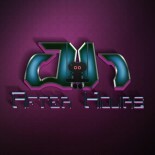 This includes all the music from our trailers and videos. 40+ pages of concept art by Cory Strader, including environments, creatures, weapons and more. Cory discusses the process behind designing the unique technological/animal look in the game. Community artist Rantology created some of the best and most unique views of creatures in the NS universe. Custom Steam avatars complete the package. A new marine model with custom visor and equipment makes you look distinctive in-game. Existing owners of the original “Black Armor” marine will be able to choose between any models they own. Natural Selection 2 is an immersive, multiplayer shooter that pits aliens against humans in a strategic and action-packed struggle for survival. It seamlessly combines shooter and RTS/strategy gameplay. Whether you play as one of the elite marine Frontiersmen or the vicious alien Kharaa, you must use unique strategies and your abilities to win. Marines form persistent squads to find and destroy alien hives. Aliens can choose a wall-running Skulk, pudgy Gorge, flying Lerk, murderous Fade or gigantic Onos that can smash through doors. Commanders play from overhead to lead their team to victory. Build structures anywhere, collect resources and research upgrades. Marines buy weapons at an Armory or build sentry turrets and siege cannons to assault the enemy. Aliens build upgrade chambers, evolve special abilities and plant traps. Use a flamethrower to clear the spreading alien infestation. Aliens destroy power nodes knock out the lights and power down marine structures. Random start locations mean you must scout your enemy and before committing to a build. Every game is different. WYSIWYG graphical tools and powerful scripting allow you to create new weapons, scenarios or entirely new games. You’ll get all our tools (level editor, cinematic tool and more) as well as the full Lua source code to Natural Selection 2. Version 1.0 is just the beginning – ongoing automatic updates keep the game fresh by adding new maps, weapons and abilities. Steam Workshop support and auto-downloading makes playing and distributing mods automatic – and gameplay always fresh. This entry was posted on 08/29/2013 by Byungsuk Kim in Computer and tagged Natural Selection 2, Sale, Steam, Unknown Worlds Entertainment, WYSIWYG.